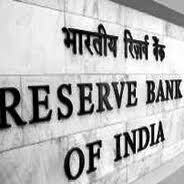 The Reserve Bank of India (RBI) on Tuesday raised concern on the home loans given by banks in association with developers or builders, popularly known as 80:20 or 75:25 schemes. Such schemes typically involve a bank launching a housing loan scheme in association with a certain developer or builder, wherein the bank makes an upfront disbursal of the sanctioned housing loans to the builder rather than linking it to the stages of construction. The interest is serviced by the builder on behalf of the borrower for the agreed period. The RBI has asked lenders to stop upfront loan disbursements in case of incomplete or under-construction housing projects and link disbursements closely to the stages of house construction. “Such housing loan products are likely to expose banks as well as their home loan borrowers to additional risks,” it said. The Confederation of Real Estate Developers’ Associations of India (Credai), however, slammed the move, saying the banking regulator did not take the views of all stakeholders into account. “Abruptly issuing such circulars and advising bank against established practices only harm the sentiment and disrupt business plans. This, in the end, creates setbacks for the projects, affecting the end consumer,” said Lalitkumar Jain, chairman, Credai.